We thrive to make this laboratory an exciting place to work, study and play, and help our people reach heights not considered possible before. A highly motivated and independent group of researchers are responsible for the novel and exciting research originating from our laboratory. Nine researchers from our laboratory are professors and many occupy positions of importance within the food industry and government. We also have strong collaborations with several other groups. Here you will find a short CV for each team member and a link to their full curriculum vitae. Dr. Marangoni is a professor and Tier I Canada Research Chair Food, Health and Aging at the University of Guelph, a Fellow of Royal Society of Canada, a Fellow of the Royal Society of Chemistry (UK), a Fellow of the American Oil Chemists Society, a Fellow of the Institute of Food Technologists (U.S.) and a member of the American Physical Society. His work concentrates on the relationship between the physical and nutritional properties of foods, particularly fats and oils. Dr. Marangoni is widely recognized as the leading Lipid Materials Scientist in the world, having published over 350 refereed research articles, 82 book chapters, 18 books, and over 40 patents. He has been invited to deliver over 130 plenary and keynote lectures throughout the world, while also co-authoring over 400 regular talks with his students and colleagues at scientific conferences. His contributions include the development and implementation of the fractal structural-mechanical theory of van der Waals colloidal aggregates, the discovery, characterization and manipulation of the nanoscale structure of triglyceride crystal networks, the establishment of the field of edible oil organogelation, and the modification of triglyceride physical structure for the modulation of physiological response in humans. Marangoni's group is also actively involved with the development and implementation of theory and apps for the prediction of the phase behavior of triglyceride mixtures from molecular composition. Marangoni also developed a structured emulsion to replace high saturate/high trans edible fats in food production and serve as a vehicle for the delivery of nutraceutical compounds. This technology formed the basis of a Canadian high-tech startup (www.coasun.com) and has been adopted in the marketplace by several multinationals. Dr. Marangoni has created the only viable technology, thus far, for the manufacture of fats with very low levels of saturated fats and no trans fats. Moreover, his latest work on physical structuring of oil using oleogelation will allow for the manufacture of hard edible fats from oil without addition of saturated or trans fats, as well as the modulation of serum triglyceride levels in humans. More recent endeavors include the design of food particle-filled polymer networks such as comminuted meat products and processed cheese. Creating a powder composite has allowed the replacement of saturated fat in the particular food product, while maintaining expected thermal behavior, such as apparent melting. Dr. Marangoni's H- index of 66 and i10-index of 307 includes over 16000 citations of his work, with over 1741 citations in 2018 only. The number of citations has increased linearly in the past 7 years, increasing 2.5-fold since 2010. 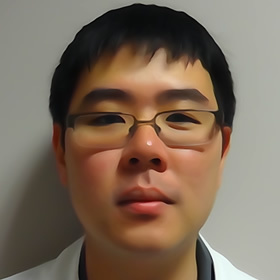 He is the recipient of many awards including a 1999 Ontario Premier's Research Excellence Award, the first Young Scientist Award from the American Oil Chemists' Society (2000), a Tier II Canada Research Chair in Food and Soft Materials Science (2001- 2011), two Distinguished Researcher Awards from the Ontario Innovation Trust (2002), a Career Award from the Canadian Foundation for Innovation (2002), an E.W.R. Steacie Memorial Fellowship (2002) - given to the top 6 Canadian scientists from all disciplines - and the T.L. Mounts Award from AOCS in 2004. Dr. Marangoni is the first co-editor in Chief of the Current Opinion in Food Science (Elsevier, The Netherlands) and EIC of the book series Food Chemistry, Function and Analysis (Royal Society of Chemistry, UK). He is on the editorial advisory board of Food Biophysics (Springer) and Food and Function (Royal Society of Chemistry), and on the editorial board of Food Research International (Elsevier), Food Digestion (Springer) and CYTA-Journal of Food (Taylor and Francis). He was Editor-in-Chief of Food Research International for 15 years (1998-2012), raising its impact factor from 0.69 to 3.15. Dr. Marangoni has co-founded several high-technology companies and is the co-recipient of the 2008 Guelph Partners of Innovation "Innovator of the year" award for his discovery of a platform technology for the manufacture of structured oil-in-water emulsions to replace high-saturate, high-trans and palm-based edible fats. His recent discovery and patents on polymer gelation of oil, heat resistant chocolate and petrolatum replacement, have attracted enormous attention world-wide. His current efforts are focused on biolubricants including suspension oil, and anti-ageing creams. Dr. Marangoni's second high-tech startup with his son, Isaac Marangoni, Whistler Performance Lubricants Inc. (www.wplbike.com) has world-wide sales and is poised to become a world leader in green, biobased biolubricants and grease. The motivation of this work is to curb environmental pollution caused by petroleum-based lubricants without loss of performance. All materials are Canadian-produced oleochemicals. Dr. Marangoni is past Research Program Director for the Ontario Ministry of Agriculture, Food and Rural Affairs and NSERC's Plant Biology and Food Science Grant Selection Committee. Dr. Marangoni has trained over 100 people in his laboratory. Graduates occupy positions of importance in the academe and industry, including 11 professors at major universities. 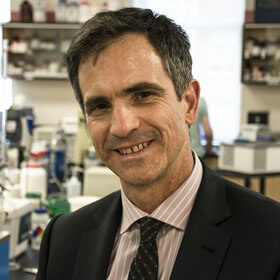 Dr. Marangoni is the recipient of the 2013 American Oil Chemists Society Stephen S. Chang award, the 2014 Institute of Food Technologists Stephen S. Chang Award in Lipid Science, the American Oil Chemists Society 2014 Supelco/Nicholas Pelick Award, the 2015 Kaufmann Medal of the International Society for Fat Research and the Deutsche Gesellschaft fur Fettenwissenschaft, and the 2017 Bailey Award of the American Oil Chemists Society. Marangoni was honored as one of the 10 most influential Hispanic Canadians in 2012 by the Hispanic Business Alliance and a Fellow of the Royal Society of Canada in 2018. 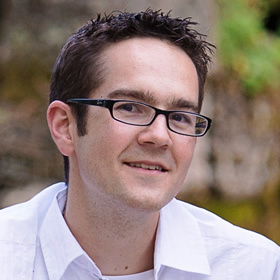 Andrew received his undergraduate and Master's degrees in the field of Biophysics from the University of Guelph in 2008 and 2010, respectively. His Master's thesis focused on the characterization of amino acid side-chain dynamics in the context of a crystalline protein using solid state nuclear magnetic resonance spectroscopy. Since early 2010, Andrew has been working as a Research Associate in the Food, Health, and Ageing lab in the Department of Food Science at the University of Guelph. From Feb. 2010 to Feb. 2017, Andrew worked under the supervision of Dr. Alejandro G. Marangoni and Dr. Shai Barbut, where his research focuses on two main projects. The first topic involved the characterization of vegetable oil-based edible oleogels structured using the polymer ethylcellulose. Andrew's work focused on building upon the existing knowledgebase of ethylcellulose oleogels so that they may be formulated to produce a custom physical response for a wide range of food applications. The second project addressed food systems which can be modeled as particle-filled networks, with particular emphasis on utilizing inert fillers in comminuted meats. Since March 2017, Andrew has been working exclusively under Dr. Marangoni, investigating the potential uses of alternative fillers in cheese products. As of Sept. 2017, Andrew has been an author of 16 refereed publications and has presented his findings at a variety of national and international academic conferences. 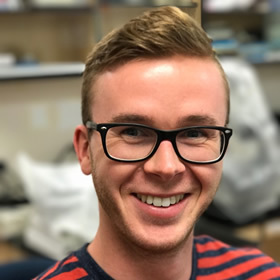 Andrew is currently expanding his research to model various composite food protein gel systems, and is intending to pursue a PhD thesis on this topic under the guidance of Dr. Marangoni. In his spare time, Andrew enjoys rock climbing, biking, and is actively learning the French language. 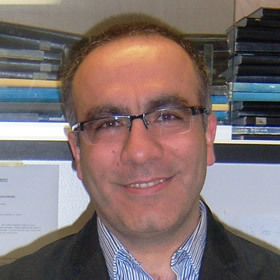 Saeed Mirzaee Ghazani received his Bachelor in Food Science and first Master of Science degree in the field of Food Safety and Quality Control from Shahid Beheshti University in 1996 and 2000, respectively. His first Master thesis was on "Formulation of High Stability Zero Trans Frying Oils". Saeed started working on fats and oils processing in 2000 at Farayand e Abzar Roughan Company (Manufacturer and installer of batch and continuous vegetable oil refinery plants) as a supervisor to control the process and troubleshooting during starting up a new batch or continuous oil refining plants. He also worked seven years in Margarine and Savola Behshahr edible oil processing companies with diverse teams, from production plant to quality control and research and development. He gained valuable experiences when he worked for three years as sale supervisor. During this time he conducted market surveys and performed troubleshooting, corrective and preventive actions to resolve customer complaints. After immigration to Canada in May 2010, Saeed has started to study at the University of Guelph and received his second Master of Science in 2012 with the title of "The Influence of Traditional and Minimal Refining on the Minor Constituents of Canola oil". 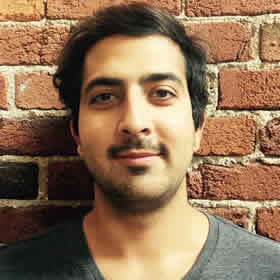 From January 2013, Saeed has been working as a Research Associate in the Department of Food Science at the University of Guelph under the supervision of Dr. Alejandro G. Marangoni. His research has focused on chemical and enzymatic interesterification of oils to improve their physical, chemical and functional properties. He has also worked on emulsions used as fat substitutes and non-dairy creamers, as well as understanding and enhancing protein functionality in super-premium ice cream formulations (with D. Goff). This work has been carried out in association with several multinational corporations. Saeed is expecting to complete his Ph.D. degree in Food Science department under the supervision of Dr. Alejandro Marangoni by December of 2017. In his spare time, Saeed enjoys biking and exercising at the gym. Reed began his graduate studies with Professor Marangoni in the summer of 2017 after completing his BSc in Food Science also at the University of Guelph. During his time as an undergraduate student, he achieved the highest academic standing amongst his graduating class. He is particularly interested in both food chemistry and nutritional studies, as he strives to obtain a better understanding of the various components of foods and to help others lead a healthy lifestyle. His current research interests include lipid chemistry, glycerolysis, and the structuring of edible oils for their use in food applications. He began working with Dr. Alejandro Marangoni in the summer of 2014 as a Research Assistant where he performed research on particle-filled networks in dairy proteins and the application of edible oleogels in dairy systems. Reed has presented at several conferences to date and competed in the Student Competition at the 2014 IUFoST World Congress. In 2016, he attended the Global Food Winter School at Wageningen University in the Netherlands. After finishing his graduate studies, Reed hopes to stay in academia and become a professor of Food Science. In his spare time, Reed enjoys obstacle course racing, trail running, and rock climbing. Edmund Daniel Co obtained his Bachelor of Science and Master of Science degrees from the University of Guelph in 2008 and 2011, respectively. His research focused primarily on the crystallization behavior of 12-hydroxystearic acid, a hydroxylated fatty acid that forms gels in organic solvents (vegetable oils included) at concentrations of less than 1%. In the interim, Edmund worked as a research assistant performing experiments on polymer oil gels and as a lecturer in Food Chemistry. He is currently studying the liquid-state "structure" of triglycerides in pre-crystallized and post-melted triglyceride melts in continuation of Larsson's and Cebula's initial theories of the behavior of triglycerides as liquid crystals. Kristin is a PhD student in Food Science. She completed her BSc in Food Science at McGill University in 2015, and completed her MSc in Food Science at the University of Guelph in 2017 studying fat crystallization behaviour of roll in shortenings within the matrix of laminated bakery products. Her current research under the supervision of Dr. Marangoni, aims to develop novel meat analogues that have a similar fibrillar structure to real meat. Achieving linear aggregation of plant sourced proteins has the potential for creating a meat alternative that possesses the sensory characteristics of real meat, but is more sustainable and practical for feeding the growing population. 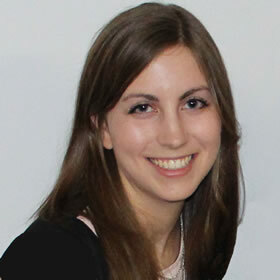 Kristin's interests lie mainly in the area of product development and has completed two industry internships as a Jr. Product Developer. During her undergraduate studies, she captained the winning team of the MARS Product Development Competition at IFT15 in Chicago, IL. Her team then went on to compete at the 2015 Chinese Institute of Food Science and Technology Global Product Development Competition in Dalian, China, where they were awarded second place. Nukhalu began his undergraduate studies at Concordia University in the Mechanical Engineering program. He soon realized his curiosity lay more in the realm of fundamental questions and conceptual understanding of the physical world and so began an Honours Psychics degree at St. Francis Xavier University. There, he was fortunate to have a rather challenging, but totally enjoyable, learning experience under the mentorship of Profs. Steinitz, Adams, Marzlin, van Zyl, Poole and Subramanian. In this program he gained broad knowledge in theoretical, computational and experimental aspects of Physics. As part of his computational and experimental training, Nukhalu learned to use C++, Matlab, and Maple/Mathematica. During his third year of studies, he assisted Prof. D.A. Pink in running Dissipative Particle Dynamics simulations using Fluidix. In his fourth year, he assisted Prof. Carl Adams in the investigation of the microstructure of bread dough. For his final year, he completed an Honours thesis in condensed (soft) matter physics, entitled "The Microscale Structure of Cheese". As part of his experimental training, he worked under the supervision of Prof. Carl Adams (along with Prof. D.A. Pink and Dr. Peyronel) to gather experimental data in the neutron lab at National Institute of Standards and Technology (NIST facility, Washington, D.C.), and used specialized software for Neutron Scattering (IGOR) to analyse the data. This research was supported by grants awarded to me to travel to the NIST research facility and to two Atlantic University Physics and Astronomy Conferences (AUPAC) to present our research findings.